This page last modified 2007-12-01 13:17:17. Spawns at 'the Farm' in DSH. Not common, but not rare if you keep the area cleared..
Where exactly does this guy spawn and what is his ph if ya please? 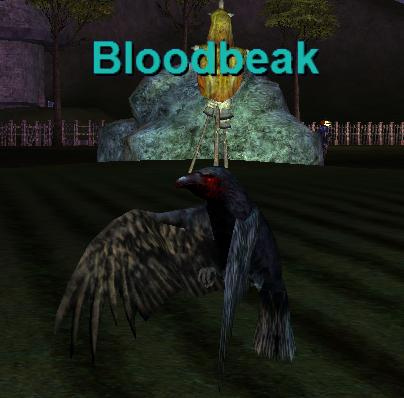 Bloodbeak is immune to runspeed changes. Moonlight Cape (Back slot all but plate class) mod- "Fizzletender's Benevolent Extension 1"
From last post jesforasmile, Strawshank drops the Felmight Gorget. rogues can not wear this.